And they are still accepting vendors and participants for all these events! Mid-winter is here and with the recent cold fronts, how could anyone want to go out? 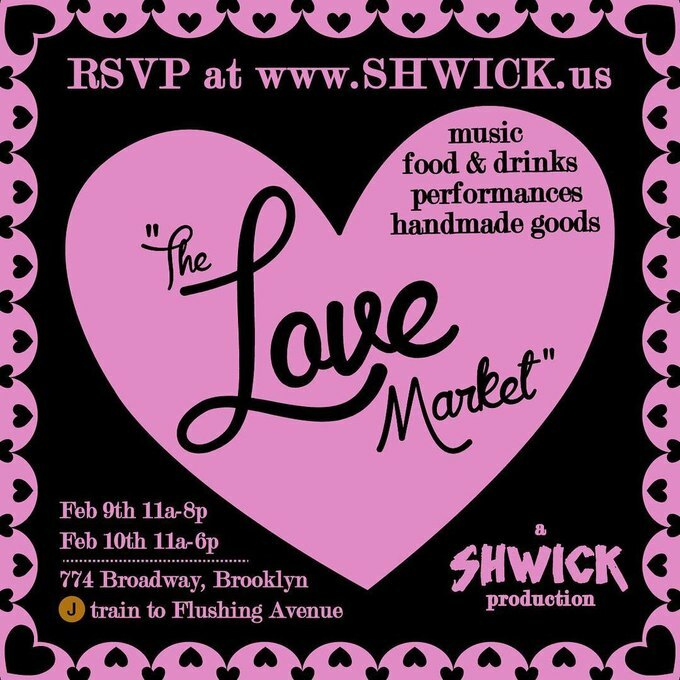 Never fear, Shwick is here, with a full roster of markets and workshops to help you get your February fix. Spoiler alert, it’s all indoors! Shwick was founded in 2013 by Christopher Carew and his wife Jinyen, after having operated a successful t-shirt business. 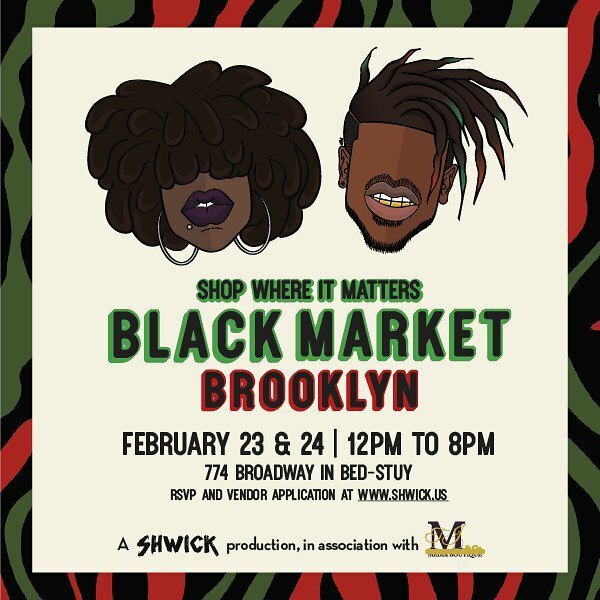 Carew, who has been living in Brooklyn since 2004, started Shwick as a pop-up market, where local businesses and artists could sell their goods. Much to the entrepreneurial couple’s surprise, their little market grew into something much bigger. Fast forward and the couple has been hosting markets under Shwick for six years now. The Shwick markets have been held at several notable locations throughout New York City including, but not limited to, the House of Yes, an old lingerie store in SoHo and the Williamsburg Savings Bank. 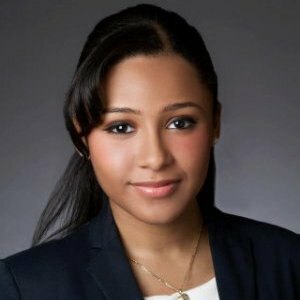 “Our goal is to give small businesses a platform to showcase their goods and give shoppers a chance to find something unique, while supporting a small business right here in the community,” said Carew. This February, Shwick has three entertaining events for anyone to attend. The first is the Love Market. Inspired by the spirit of Valentine’s Day. 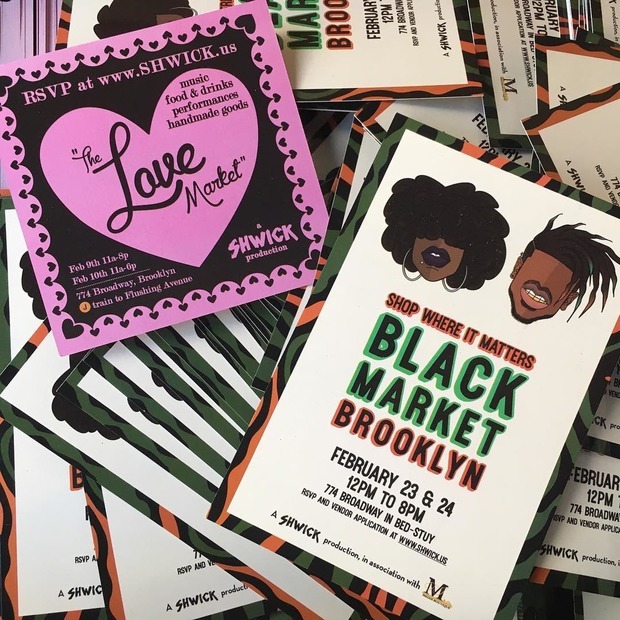 In addition to the Love Market on Feb. 9 and 10, Shwick is also hosting a Battle of the Bands on Feb. 15 and 16, and the Black Market on Feb. 23 and 24. 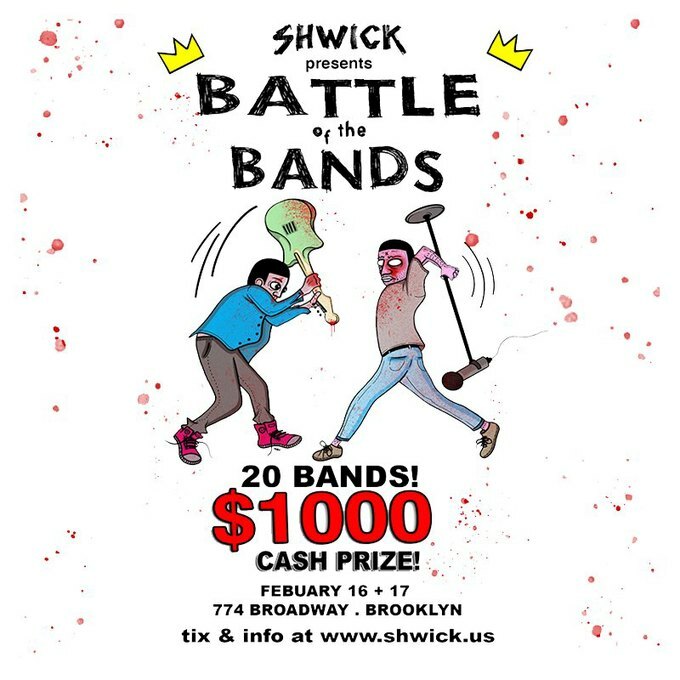 For Battle of the Bands, Shwick will be selecting 20 bands to perform over the weekend of February 15th and 16th. There will be one grand prize winning band, who will receive $1,000 cash, a recording session at a local recording studio, and some other cool prizes. At each market you can expect to see all sorts of vendors: food, drinks, art. You name it and it’s probably at one of Shwick’s markets. In addition to vendors, you can enjoy music and so much more. Shwick is currently still accepting vendor applications for the Love Market and Black Market, as well as submissions for Battle of the Bands. If you’re an artist or local business owner and want to book space at Shwick’s markets, please visit www.shwick.us. Also, stay tuned for their outdoor food market coming to Brooklyn in April. To keep up with Shwick follow them on Twitter, Facebook and Instagram. All images courtesy of Shwick.